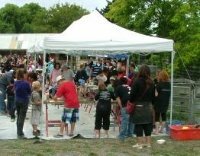 If you are considering something new for kids craft projects, then booking a stone carving workshop is a really good option. Children's lessons in stone carving enable children to learn a little bit about art and sculpture through creating their own easy to do stone carving. 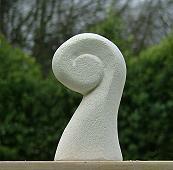 At the beginning of the lesson safety is the main priority in stone carving. We start with how to use the workbench properly. 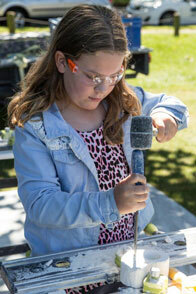 We talk about how the bench holds the stone in place and allows the children to work with the tools in a safe manner. We use small child sized tools and there is also a briefing about how to use the tools so the art activities for children are safe. After the safety briefing children are shown how to cut and smooth down the shapes and then carve the design. 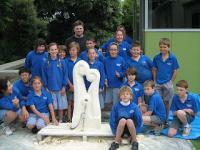 The children are excited to be able to complete their own sculptural piece. Workshops are a minimum of two hours. All equipment is included (Stone, tools, and benches) Maximum benches - Ten (10) With one child per bench. Groups will rotate approximately every hour depending on the project undertaken. Workshops that require more than 30 students are price by negotiation. Please choose the workshop or class that you are interested in.